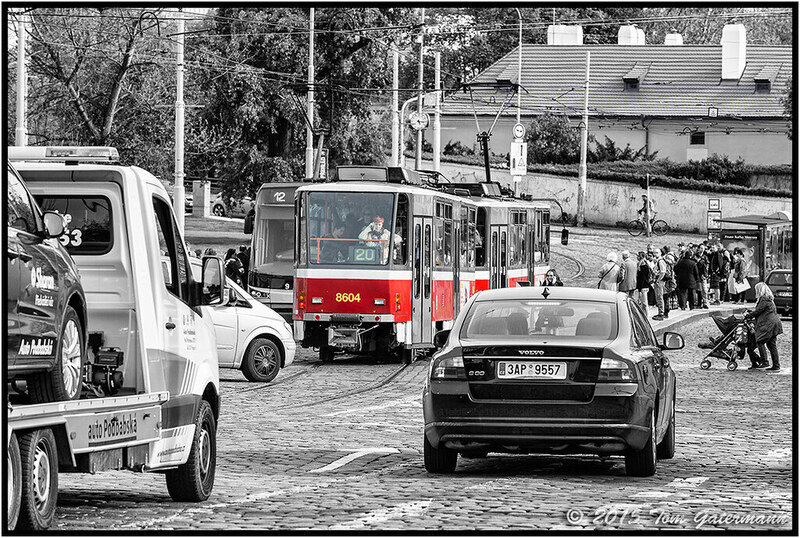 A woman talks on her cell phone at the back of tram 8604 (a Tatra T6A5), as the tram arrives at the tram stop at Klárov and Pod Bruskou during rush hour. Photo taken: April 29, 2015. Prague, Czechia.